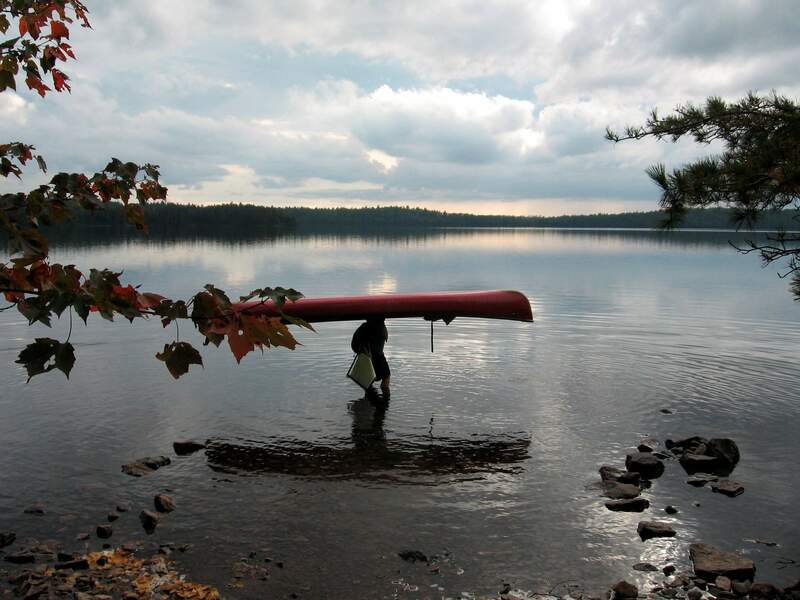 A visitor to Minnesota’s Boundary Waters Canoe Area Wilderness prepares to put a 16.5-foot canoe back in the water after carrying it overhead across a portage to Parent Lake. Hundreds of years ago, American Indians and fur traders carved these trails through the forests connecting the more than 1,000 lakes in the area. Canoes pulled out of the water for the night at a campsite on Parent Lake in Minnesota’s Boundary Waters Canoe Area Wilderness. Limited numbers of permits are granted to camp in the wilderness, and once a group of nine people and four canoes maximum reaches a campsite, it’s theirs alone. 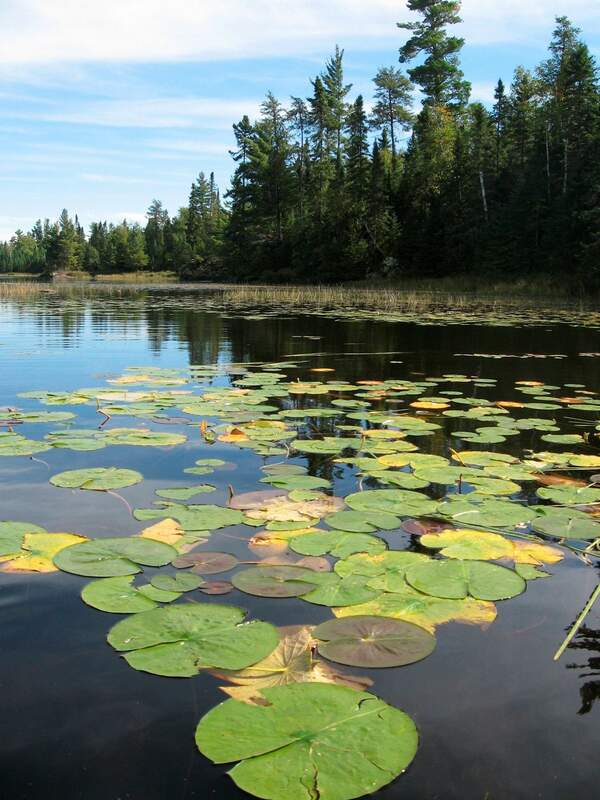 Lily pads on the glossy surface of Lake One in Minnesota’s Boundary Waters Canoe Area Wilderness. With its off-the-grid remoteness, almost non-existent cellphone and Wi-Fi signals and more than 1,200 miles of canoe trails, the area allows visitors to really disconnect. BOUNDARY WATERS CANOE AREA WILDERNESS, Minn. – Every paddle stroke sprinkled water drops, reflecting the setting sun like sparklers across the black, glacier-carved lake. Just a few hours earlier, I had been portaging on an ankle-deep muddy trail with that 55-pound canoe balanced over my head, shielding me from a chilly downpour. 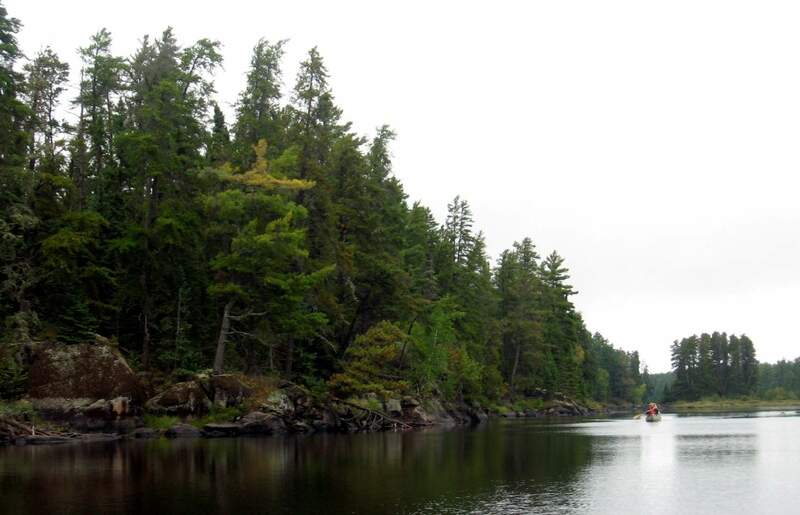 That contrast is the essence of the wilderness experience in Minnesota’s Boundary Waters. The physical effort required to explore its off-the-grid remoteness – including carrying a canoe solo on slippery, rocky trails – makes every worry evaporate like steam off woolen socks strung over a campfire. And once your only concerns become basic – keeping chipmunks away from the breakfast oatmeal or securing tarps against the wind whooshing through the woods – you have nothing to do but soak in the beauty. 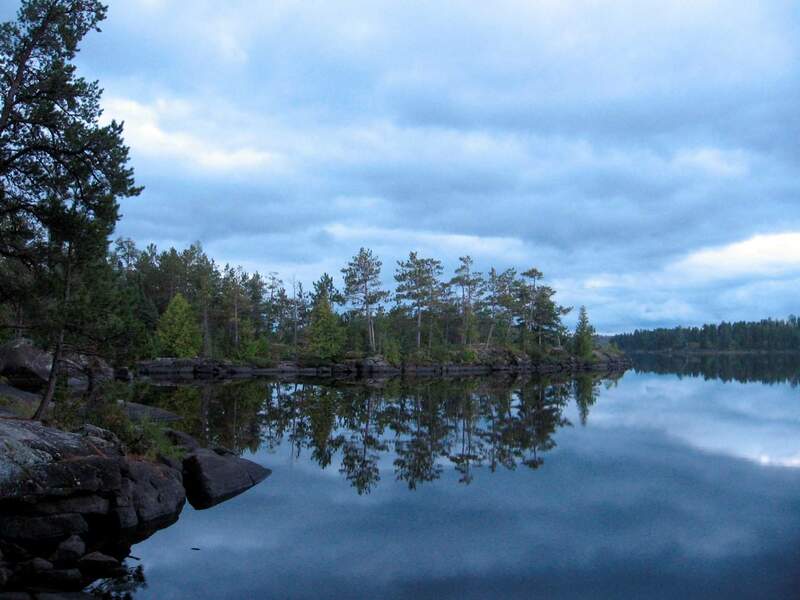 Boldly northCovering over 1 million acres along the Minnesota-Canada border, the Boundary Waters Canoe Area Wilderness protects more than 1,000 lakes, rocky islets and towering evergreen forests that are usually ice-free from May into October. Canoeists paddle in the misty solitude of the pine forest-fringed lakes in Minnesota’s Boundary Waters Canoe Area Wilderness. Physical exertion and quiet beauty mark the wilderness experience along its 1,200 miles of canoe trails. There are plenty of walleyes, pikes and loons along its 1,200 miles of lily pad-lined canoe trails – but no electricity, no motors (except on a few big entry lakes) and no cellphone or Wi-Fi signals in the vast majority of the wilderness. If you want those, or a shower, bed and restaurant meals, there are plenty of nearby Spartan to five-star lakeside cabins and lodges. Deep inside the wilderness, the luxury is the silence, quieting everything to the same stillness of the glossy lake surfaces that mirror the bursts of stars or the spindly pine trees. Even planes cannot fly below 4,000 feet here. Into the wildernessMy first canoeing and camping four-day trip in the Boundary Waters came as I was interviewing for jobs after finishing my doctorate. I don’t believe that I ever looked at any object with as much loathing as I did the pay phone outside the outfitters’ office when we got back to civilization. Two canoes along a lily pad-lined bog in Minnesota’s Boundary Waters Canoe Area Wilderness. 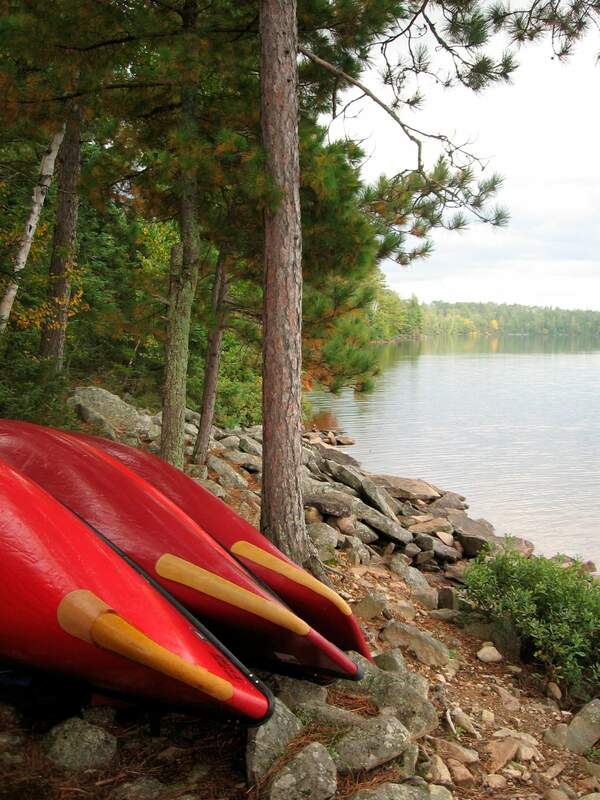 The area protects more than 1,200 miles of canoe trails over lakes and rivers fringed by pine forests. Sure, bathing with soap and shampoo would be nice – but couldn’t we just turn the canoe around for a few more disconnected days? I have since returned for half a dozen trips, either in late May or mid- to late September, enjoying everything from sunbathing on the rocks to paddling through snow flurries, often on the same trip. My favorite route is the demanding loop from Sawbill Lake up several creeks and bogs to vast, islet-studded Cherokee Lake, and back down the Temperance River. 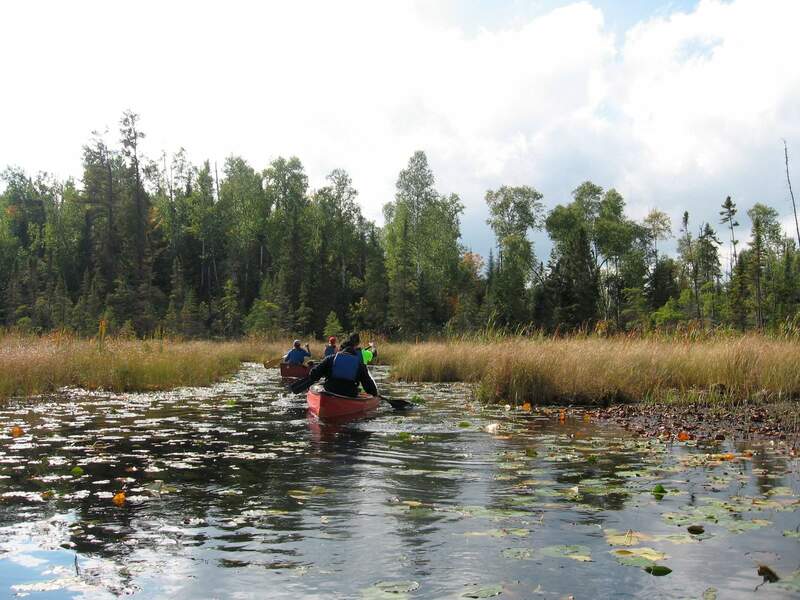 The 23-mile route crosses 12 lakes, which means 14 portages with sturdy Duluth packs (nearly square in shape, designed to fit in the bottom of a canoe) and 16.5-foot canoes on forest trails connecting lakes and bypassing rapids. The longest portage on this route is 240 rods, or about three-quarters of a mile at one rod per canoe length. Try hiking that carrying a pack bulging with food for eight people for a long weekend. I’d rather carry the canoe, even though that requires some fancy limbo dancing under branches. Prep timeSawbill is also one of the most popular of the Boundary Waters’ dozens of entry points, so reserve a permit in advance if you’re traveling overnight from May through September. Only a few are granted per day, to groups of nine people or four canoes maximum. 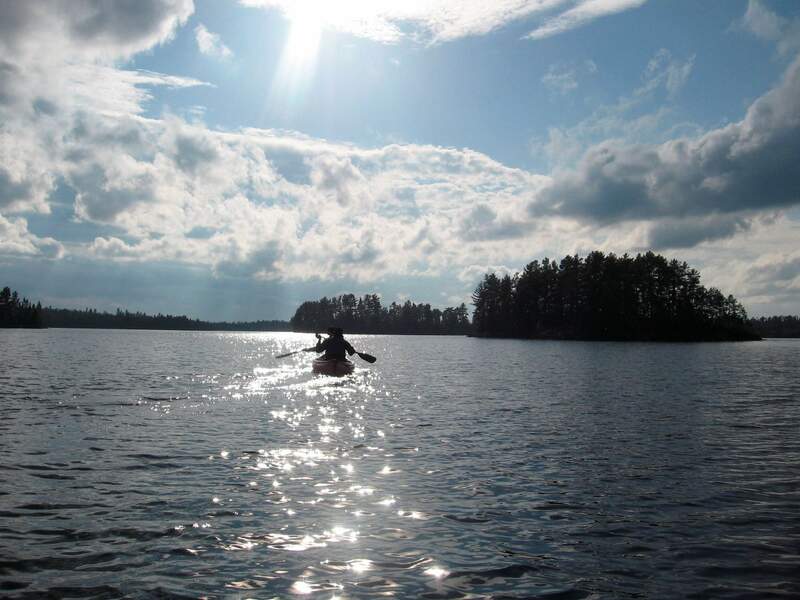 Two canoeists paddle in the late afternoon on Disappointment Lake, one of more than 1,000 lakes in Minnesota’s Boundary Waters Canoe Area Wilderness. The glacier-carved lakes have black, glossy surfaces and plenty of walleyes, pikes and loons. Topographic maps are essential to navigate. They indicate the otherwise unmarked portages and the more than 2,000 primitive lakeshore campsites, which provide a clearing for tents, a fire grate and, hidden away, a latrine. You can’t reserve them, but once you reach one, nobody else can stay there other than you and your group. Aside from the glimpse of a yellow or red canoe in the distance, a quick hello at a portage, or a plume of campfire smoke in the evening, it’s hard to notice any human presence. People’s choiceYet people have shaped this area’s history, from the American Indians and fur traders who first carved out its portages hundreds of years ago to the legislators who designated its federal wilderness status. Earlier this spring, mining leases nearby were renewed, stirring heated controversy. Dusk falls on Lake One in Minnesota’s Boundary Waters Canoe Area Wilderness. The area’s off-the-grid remoteness makes all but the most basic concerns evaporate, leaving nothing to do but soak in the natural beauty. That fragility makes the Boundary Waters’ soothing moments all the more precious, like watching the moon rise from a rocky outcrop amid the throbbing of the loons’ haunting call – and that of paddle-sore muscles. The grub of summer sausage, Hamburger Helper and gorp isn’t gourmet, and sleeping bags don’t come with thread counts. But to really get away might just be the ultimate splurge. GETTING THERE: Minneapolis-St. Paul international airport is about 250 miles from most entry points to the Boundary Waters. Duluth International Airport is about 100 miles. BOUNDARY WATERS CANOE AREA WILDERNESS: https://bit.ly/2NntBkc. PERMITS: Adults, $16. Pick up before or day of entry. https://bit.ly/2iXHvNB. SAWBILL CANOE OUTFITTERS: https://sawbill.com. Two-person canoe rentals run $30-$42 a day. Sawbill also rents camping equipment, sells supplies and can provide ground transport from Duluth airport.